Vann Brasher and Mike Ruiz represented Sequim with heart in the 3A State Championships at the Tacoma Dome Feb 21 & 22. Brasher, at 112, lost to eventual 3rd place finisher Juan Ortiz 9-8 in his opening match. Ortiz placed 8th last year and was returning to try and win the Championship. Brasher then beat Meadowdale's Brian Seeley 9-4 to stay alive for a possible top 8 finish. In a loser out match, he was defeated by Matt Perkins from Ellensburg 5-4. Brasher had the early lead but after an illegal hold penalty cost him a point, he was unable to get the win. Ruiz lost his first 2 matches to finish out of the top 12 but wrestled tough as a sophomore. Both wrestlers should lead the young Wolves back to State next year with a vengeance. Brasher, Ruiz Headed to State Finals !! Junior Vann Brasher and sophomore Mike Ruiz will represent Sequim in the 3A State Championships at the Tacoma Dome this weekend after qualifying at the Region II Championships on Saturday. Ruiz (152 lb) lost a thrilling overtime final match to Clover Park's Omar Petty to claim the 2nd seed from Region II. Brasher (112 lb), overcoming a loss to eventual Region Champion Paul Klein from White River, defeated Metro District Champion Alonzo Valenzuela to earn the 3rd seed. Both wrestlers will test Washington's other 3A Regional Qualifiers beginning Friday and continuing Saturday at Mat Classic XVI in Tacoma. 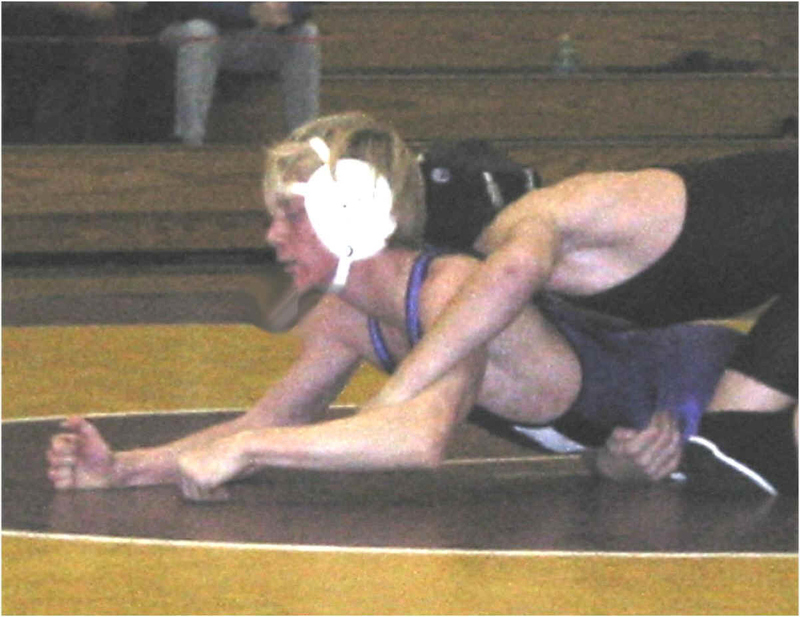 Feb 8, 2003 - Sequim wrestlers Vann Brasher (112), Mike Ruiz (152) and Daveon Pope (189) finished in the top four at the District Qualifying meet at Clover Park High School over the week-end to earn the right to represent our District in the Regional Meet at White River February 15. Brasher and Pope went 4-1 and finished 3rd, while Ruiz went 3-2 and finished 4th. Four other Wolves finished in 5th place which earns them a berth as a regional alternate. Anthony Gowdy (103), Andy Chinn (125), Anthony Longoria (145) and Joe Shaw (275) will all travel to White River and participate if any qualifier can't compete. On a sad note, senior Kris Reistetter was minutes away from qualifying when he was forced to withdraw due to a dislocated kneecap (Oww!). Clockwise from left Mike Ruiz controls, Anthony Gowdy tries to turn Zack Stover and Vann Brasher dominates Dane Lund. 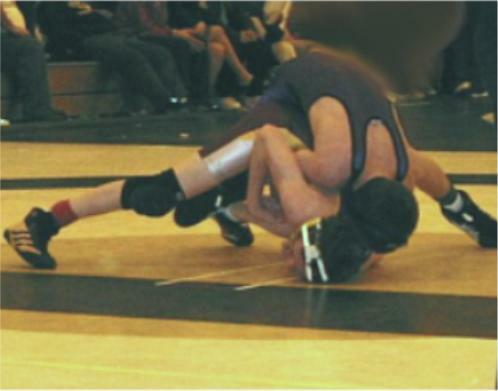 January 18, 2003 - Sequim wrestlers took 3 First place medals, 2 seconds and a third and placed 2nd as a team behind Franklin Pierce at the Timberline Tournament in Lacey. Anthony Gowdy, Anthony Longoria and Daveon Pope took home gold in the 103 lb, 145 lb and 189 lb weight classes. Mike Ruiz was second at 152 as was Lewis Hammonds at 119. Vann Brasher was third at 112. Longoria and Ruiz were pleasant surprises to coach Mark Fischer. Anthony Gowdy, Vann Brasher, Andy Chinn and Anthony Longoria were the only Sequim winners as Vashon defeated the Wolves 53-16 Thursday. State placers Evan Mattingly and Paul Rudisky beat Sequim's Daveon Pope and Nathan Chavez in other tough matches. The wrestling team opened up the season December 6-7 at the White River Classic tournament in Buckley with a pretty fair showing. The young team showed heart with Junior Vann Brasher placing 5th in the 112 lb division and Sophomore Nathan Chavez placing 6th at 171. All divisions were 16-man double elimination brackets and the WRC attracts top teams from around the State. Oly Bekkevar and Anthony Longoria get a little pre-season practice in.